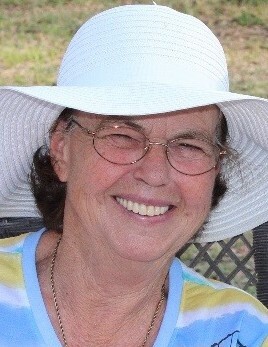 Boyd ~ Frankie Ann Williams, 75, a lifetime resident of Boyd, went to be with our Lord Saturday, July 21, 2018 in Decatur. Funeral is 10:30 a.m. Wednesday at Hawkins Funeral Home Chapel in Boyd with burial at Keeter Cemetery. Family will receive friends 6-8 p.m. Tuesday at the funeral home. Rev. Fred Raney will officiate. Pallbearers include Kendell North, Chance Crisp, Ethan Crisp, Joe Andrew, Cheryl Hughes, and Tanya Prince. Frankie was born March 22, 1943 to J.D and Katheryn (Easley) Read in Bridgeport. She was united in marriage on February 4, 1982 to C. L. Williams in Palo Pinto County. Those left behind to cherish her memory are her daughters, Thresia Crisp and husband Henry of Decatur and Kerrie Van Hoose of Bridgeport; her grandchildren, Kendell North of Decatur, Chance Crisp of Decatur, Ethan Crisp of Bridgeport, Joe Andrew and wife Melissa of Boyd, Cheryl Huges of Runaway Bay, and Tanya Prince and husband Justin of Chico; her great grandchildren, Avery, Brody, Chevelle, Creed, Aspen, Rylan, Cannon, Makayla, Aiden, McKinsley, and Blakely; her brother, Dickie Read of Paradise; other relatives and a host of friends.